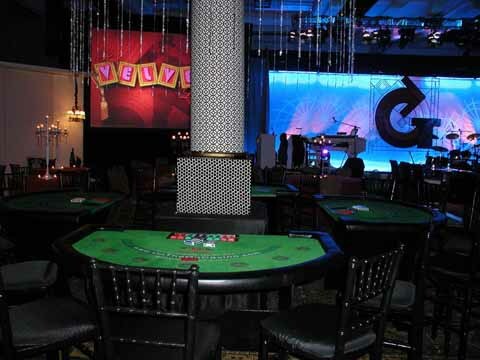 On the Go Casino® Parties Inc. provides full service casino parties, casino party entertainment, casino fundraisers, casino rentals and casino night events for corporate, private and charity events in Phoenix and Tucson Arizona. 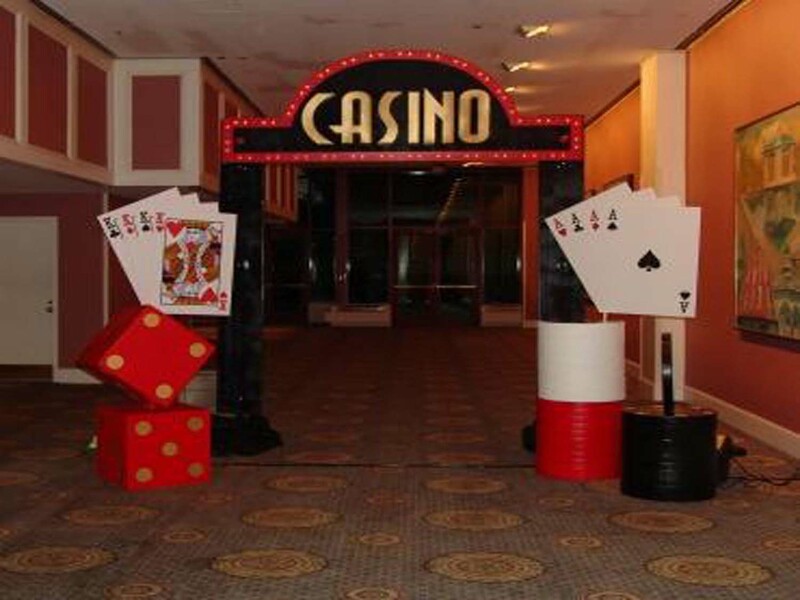 We have over 15 years of experience providing top quality, exciting, casino parties and casino party entertainment. We offer exciting Las Vegas style casino parties and poker events using only the highest quality casino party tables, casino equipment and fun, knowledgeable, friendly casino party dealers for any occasion. What happens in Vegas, we bring to you! Download our free casino party brochure. Casino parties are our business. Unleash the excitement of a Las Vegas style casino party and add a unique element of exciting casino night fun to your next party, fundraiser or corporate meeting! 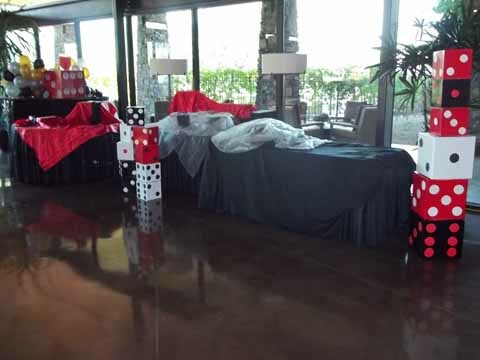 We specialize in casino theme parties, casino charity events, poker parties and casino table and equipment rentals. A casino party is a popular and successful way for companies or individuals to entertain their guests. It's all in fun, with no "REAL" gambling involved. Your guests wager with funny money and have a chance to win prizes based on their winnings. 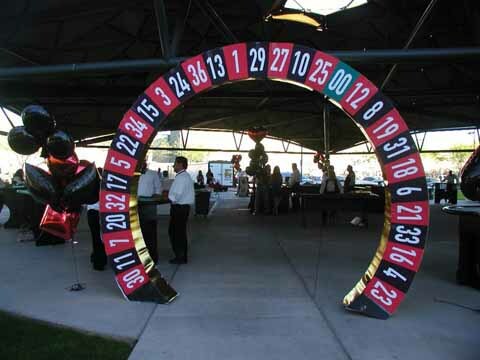 Don't gamble on your casino party, corporate casino night or casino fundraiser, with just any casino party company. All casino party companies are not equal. On the Go Casino® Parties Inc. is one of the oldest, most experienced, most trusted casino party companies in Phoenix and Tucson, AZ. 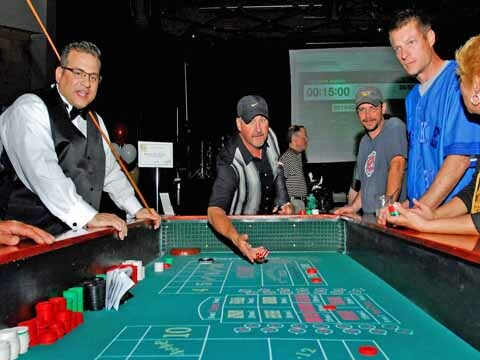 We've done this by consistently providing a realistic and fun casino night experience for our customers, using only the highest quality casino party tables and equipment, and fun, knowledgeable, friendly casino party dealers. We are proud to have hosted casino parties, casino nights and casino fundraisers for companies and organizations such as: American Express, Barbecues Galore, Honeywell, H & R Block, Costco Wholesale, US Airways, Ryland Homes, YMCA, American Family Insurance, Phoenix Children's Hospital, Lions Club International, Shea Homes, Wells Fargo, Acura, Sub Zero, US Bank, Credit Suisse, Trammel Crow, Ultimate Electronics, Foxworth Galbraith, ASU Hispanic Business Alumni, Saint Patrick’s Parish, Coronado High School and many other satisfied customers both big and small. On the Go Casino® Parties Inc. is committed to providing a unique element of exciting casino night entertainment using dynamic, energetic, knowledgeable casino party dealers and high quality, authentic casino party tables and equipment all at a competitive price. We bring the casino to you! On the Go Casino® Parties Inc. is an active member of the National Association of Casino Party Operators, a trade organization for the most professional casino party companies in the United States.